New research from the University of Manchester which has been backed by the charity Arthritis UK has found that rheumatoid arthritis sufferers could potentially increase their life expectancy by giving up smoking. The research has found that smoking can be associated closely with the early death of people living with rheumatoid arthritis but this effect can also be reversed if the habit is stopped. The research was carried out by NIHR Manchester Musculoskeletal Biomedical Research Unit and it was based on the analysis of patient information which was anonymised and taken directly from the UK-based GP database. The results of this analysis were published in the journal Arthritis Care and Research and it found the risk of death was almost two times higher in rheumatoid arthritis patients who smoked when compared with those who never smoked. The data used incorporated everything from information related to hospital admissions to death certificates. The findings from this research correlated with other former findings which have shown that people living with arthritis who also smoke are at an increased risk of dying early due to cancers, sever infections, respiratory diseases and cardiovascular diseases. Interestingly this new research found that the risk of death for people who smoked but had given up were quite similar to those who had never smoked which shows that the negative consequences associated with smoking and rheumatoid arthritis could be reversed by a lifestyle change. 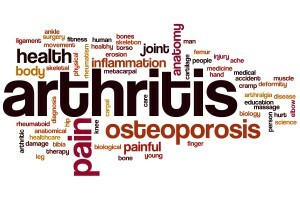 There are many things which are recommended in terms of lifestyle change, after you are diagnosed with arthritis. There are diet changes you can make, it may be recommended you lose weight and your doctor may also suggest you cut down your alcohol intake and certainly stop smoking. If you are relatively inactive then it may be recommended you take up some level of exercise, although this is something that you will probably need to discuss with your medical team as the right kind of exercise will matter dependent on the severity of your condition and the joints it effects. Whether you have been newly diagnosed or have known about your condition for some time it can help to make small changes for the benefit of your whole body and your quality of life. Quitting smoking isn’t necessarily going to be easy but if it extends your life expectancy and is part of a drive to improve your general health you may soon find it benefits your pain management and the symptoms of your arthritis too. If you would like to find out more on quitting smoking and rheumatoid arthritis please contact Dr Stephanie Barrett here.